Nice, you chose GitHub as authentication method! To redeem this reward, you need at least two public repositories and your account must be older than March 20, 2015, or, if you are no developer, but want to contribute nevertheless, you can also star one of the awesome Omni Layer projects on GitHub. 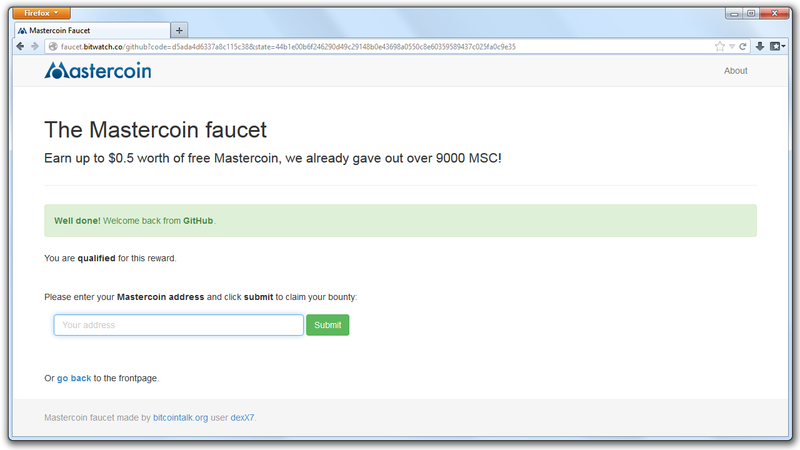 If you go on, you will be forwarded to GitHub where you need to grant access to an application called Mastercoin faucet. You will then be redirected back to this page. 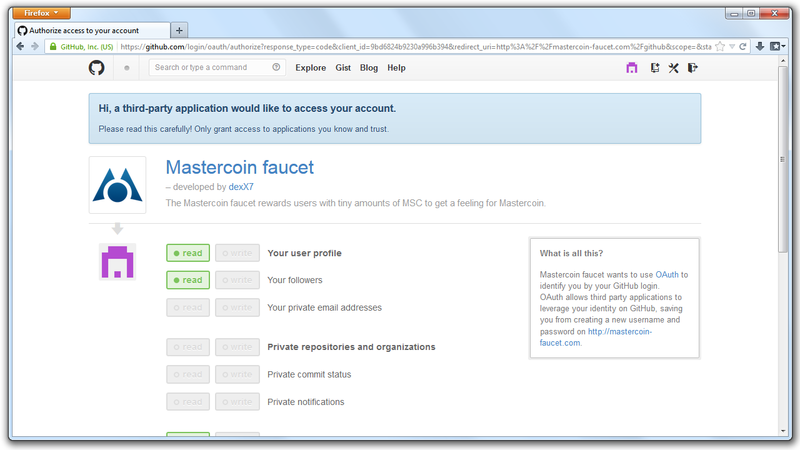 This is a protection against abuse, so we are able to give out free MSC to as many interested people as possible. You can revoke the application access later on here.